I recently attended a funeral for my Uncle. Thankfully he lived a very long life and passed away at the age of Ninety-Four. The day prior to my Uncle’s funeral, there was a memorial service in his honor. Friends and family paid their respects and were invited to say a few words about him in remembrance. There were many people in attendance and it was literally standing room only. Yes, people mourned his passing but there was a sense of joy as they spoke fondly of him and of the kindness he bestowed on others. What sort of life did he lead that would cause this many people to attend My Uncle’s memorial service? From listening to the friends and family who spoke about him, I found out why. Like many men in his generation, he served in World War II. After the war, he worked as an accountant for the Federal Government until his retirement. These two achievements alone qualify as a successful life in my opinion. However, his real success came from living a humble, happy and fulfilled life. First of all, family came first to my Uncle. His identity was not defined by a lofty career but by his role as a wonderful friend, husband and father. There was nothing he enjoyed more than having a roomful of kids and grandchildren at his house. He had six children and they all loved and adored their father. They described him as someone who was soft spoken, slow to anger, and quick to forgive. He was also a devoted and loving husband to their mother. His kids said that they never saw my Uncle argue with his wife – at least not in front of them. Not even once in their 60 plus years of marriage. Secondly, he found his passions in life and pursued them relentlessly. While I personally remember him playing chess, I did not know until his memorial service that he was close to becoming a Chess Grandmaster. He was also an avid gardener and took great joy in cultivating his garden. He loved singing Karaoke with his family on weekends and ballroom dancing. My Uncle even took on a second career as a black jack dealer. While not a gambler himself, he really enjoyed this casino game. Thirdly, and most importantly in my opinion, my uncle discovered his own unique secret to happiness: humility, kindness and charity. From what the many people attested to at his memorial service, his kindness really touched their lives. From his family, neighbors, friends, old- coworkers, to people he met in passing, he always had a kind word to say. My Uncle truly listened to the other person, treated them with respect, and cared about what they had to say. He never used a personal encounter as an opportunity to brag about himself. I learned a great lesson about how to live one’s life from attending my Uncle’s memorial service and funeral: while money is necessary to live, it is not the reason for why we live. My Uncle was not rich in the traditional sense but he had a rich life nevertheless. His life was an example that real wealth is attained not by how much money we accumulate but living life to the fullest and genuinely give back to others. 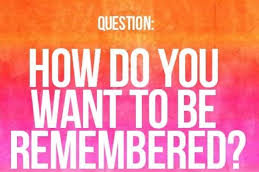 The question we often ask ourselves is “what should I do with my life?” Maybe the better question should be, “How do I want to be remembered?” and work backwards from there. If we can do this, then perhaps we too can be lucky enough to have a standing room only crowd at our Memorial service where people have nothing but fond words to say about us.